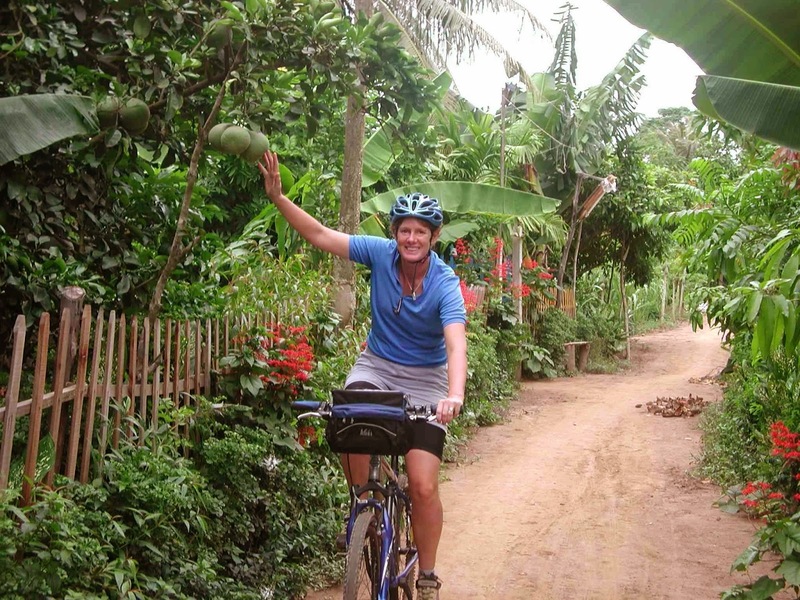 Biking Mekong tour started on the blast road. It was significantly less stressful than the heavy traffic of the city, and the countryside has some beautiful stretches. The road-side restaurants along the way had very limited menus but made up for it with the dozens of hammocks, turning short pit-stops into slightly longer than expected nap-time. It just makes so much sense! I really want to introduce the hammock-restaurant to stretches of American highways (patent pending). After getting lost several times, we eventually made it to Can Tho just after dark, and managed to find a hotel with essentially no idea where we were or where we were going. After having dinner at a little restaurant called “Mekong,” which was delicious and cheap, we ran into a woman who convinced us to get a boat to the floating market at 5:30am. I don’t think I’ve been up before 8 am in five years. How she convinced me to agree to that is something that should be studied by business negotiators at Fortune 500 companies. She convinced us that you have to get down the river to the market bright and early to catch the action. It ended up being a great decision; the city was dark and quiet as we walked to the water, and the little motorboat ride down the river at sunrise was peaceful and gorgeous. To be honest I didn’t know much of what to expect at a floating market, but I assumed some sort of hover-craft would be involved. Suddenly we were amidst small- to medium-sized vessels, bobbing about each other, linking up to transfer cargo between them. Our guide/driver cut off the engine and rowed us between the boats, some selling watermelons and pineapples, others offering all kinds of fresh seafood. It seemed to be primarily larger commodity wholesale, but the vendors were happy to unload individual items to us as well. I grabbed some pastries from a baked goods boat, while Canadian Ryan flagged down the watermelon cruise liner. We also linked up with a coffee vendor who managed to transfer a few cups of steaming coffee to us while bobbing back and forth alongside our boat (without spilling a drop). 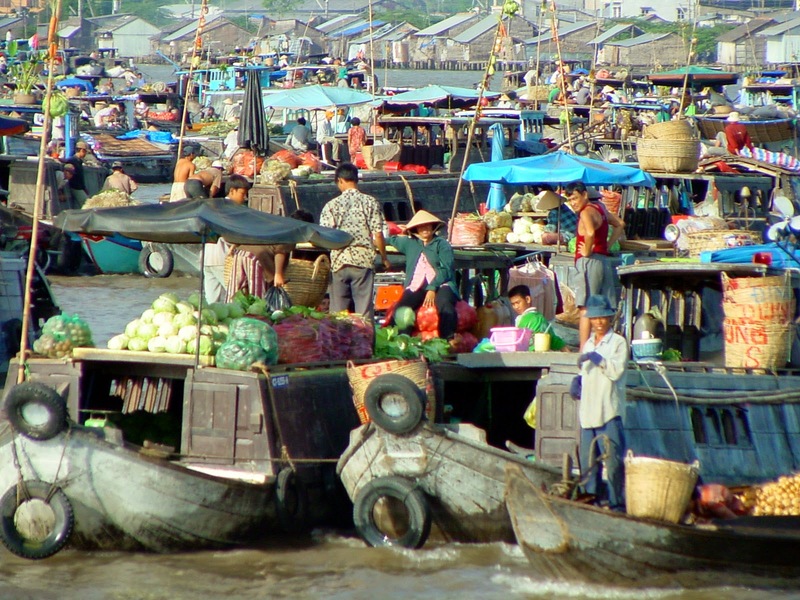 Luckyly, Mekong tour brings us truly experience in Vietnam.